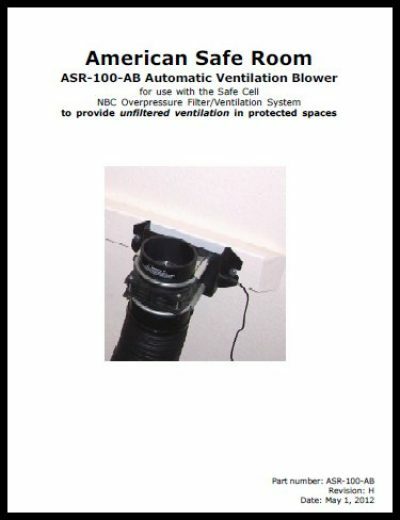 This automatic ventilation blower is a separate blower that mounts next to the Safe Cell and is used to provide ventilation when the shelter is unoccupied or there is no airborne threat outside. 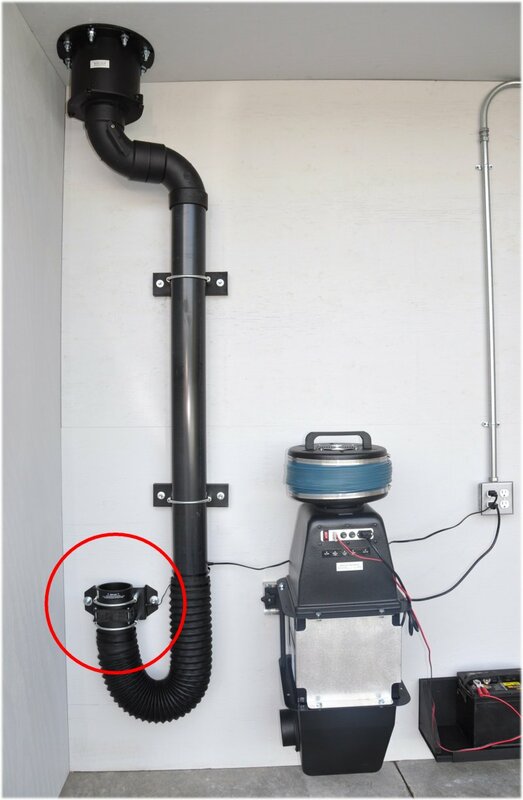 It uses all of the same plumbing as the Safe Cell NBC air filter – the air intake hose from the filter is slipped onto this blower and the air exits the protected space through the overpressure valve. This separate fresh air blower is unique to the Safe Cell. Other NBC filtration systems have a “fresh air” mode where you bypass the filter elements and use the system blower to bring in unfiltered air. The last thing you want to do is put hours on the blower in your NBC filter just to ventilate your shelter. Save those hours for when you really need them. 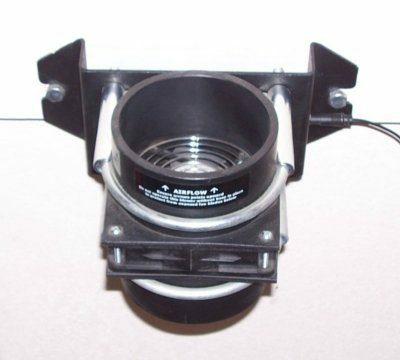 It is easily installed with the included wall mount bracket and the quick-release hose that is included with the Safe Cell is simply pulled off the intake port of the Safe Cell and put on the blower with a slight twisting motion. The timer can be set to run for as little as a half an hour every day to automatically ventilate the shelter. In an NBC event, the occupants simply remove the hose from this blower and install it onto the Safe Cell. This can be done in a few seconds. The fan is rated at 50 cubic feet per minute. This will give you three air exchanges per half hour in a 1,000 cubic foot shelter. If you live in a humid area or have a larger shelter, the timer can be increased in half-hour increments to provide more air exchanges.